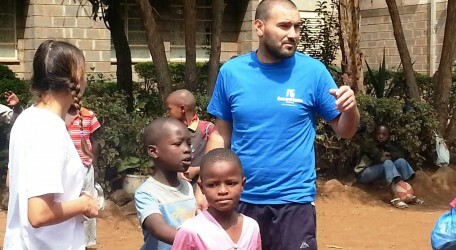 James Borg Cumbo, an employee at GasanMamo has recently joined a group of volunteers from Karibu Malta on their mission to build two classrooms at the Daughters of the Sacred Heart in Ruiru, Kenya. Karibu Malta is a young organisation with the main aim of carrying out various activities throughout the year raising funds to implement work with the less fortunate. Further information on the organisation can be obtained by visiting their Facebook page on www.facebook.com/KaribuMalta.